The world of investing has many vessels in which people can place their funds for income, future expenses, and retirement. While many of these investment vessels are commonly known and need minimal explaining, there is one that many people still have many questions about – hedge funds. Much of the mystery surrounding hedge funds and just what is a hedge fund is caused by the fact that they are not as accessible as many of the other investment tools are, such as stocks, bonds, and mutual funds. Hedge funds are accessible primarily to individuals and institutions that have significant assets. However, this article will help to shed some light so that you can see just what is a hedge fund. 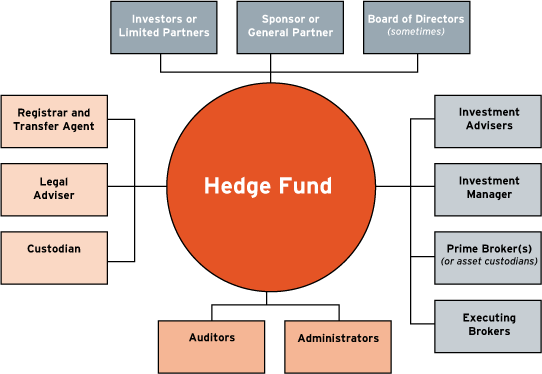 To understand just what is a hedge fund, you first have to know more about its concept of use. For starters, there are a couple of similarities between a hedge fund and a mutual fund, as well as many differences. Just as mutual funds are a collection of tradable derivatives that spread into different types, so do hedge funds. However, that is where the similarities stop. 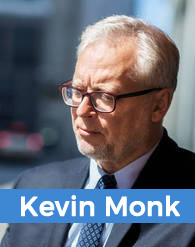 Unlike mutual funds that are regulated, hedge funds, at the time of this writing, are not under regulation of the Securities and Exchange Commission, the organization responsible for oversight of the financial industry. Another difference between the two funds is the range of securities in which they can invest. Since hedge funds are not currently under regulation, they have access to a broader selection of securities. It’s true that many of the current hedge funds use traditional investments, such as stocks and bonds. However, they are best known for investment techniques that are risky and sophisticated. One such strategy is a long-short strategy. With this strategy, the hedge fund invests in long positions and short positions. It hopes of selling stocks with borrowed funds and then buying them back when their prices have fallen, ideally. Another difference between hedge funds and mutual funds is that hedge funds also invest in derivatives. These are contracts to buy or sell securities at pre-established prices. Leveraging is another facet that makes hedge funds unique from mutual funds. With this technique, investments run on borrowed funds, increasing the returns potential while also increasing the risk. Such techniques are the reason for the title “hedge fund”. By seeking to offset losses and increase gains through “hedging” investments with sophisticated techniques and methods. Now you have the basic understanding of what is a hedge fund. Let’s look at some of the advantages and disadvantages associated with this type of fund. As with all investment platforms, hedge funds have their own advantages and disadvantages. When trying to understand exactly what is a hedge fund, you have to know these important aspects. Let’s take a closer look at each of these two factors, starting with the advantages. One of the largest advantage for most investors is how the fund managers receive compensation. In a mutual fund, the manager receives compensation through fees, regardless of how the fund has performed. Hedge fund managers receive a percentage of the returns they have earned for their investors. Apart from that, they also receive a 1 to 4 percent net asset value of the fund as a management fee. However, this can be a double-edged sword. We will discuss this in more detail later on. Another advantage to hedge funds is the level of gains they have the potential of earning for investors. The main goal of these types of funds is to provide high returns, regardless of market conditions. A good example is the global macro strategy. With this strategy, the fund attempts to take a significant position in stocks, bonds, commodities, etc. It compares investment opportunities with predicted global events. This creates the largest return with minimum risk, ideally. The final advantage we will cover is the quality of the fund managers. While mutual fund managers are skilled, managers of hedge funds are some of the best in the industry. They have experience in investing that sets them apart from most of their counterparts. These managers can let investors know when and where they should be placing their funds. One of the biggest disadvantages to hedge funds is their liquidity or lack thereof. Unlike mutual funds that have a daily net asset value and can sell at any time, most hedge funds have a lockup period. During this period, the investor cannot sell their shares. Some hedge funds require that investors have their funds in the lockup period for years. Remember how we stated that the way hedge fund managers get compensation is a sword with two edges? Here’s why. It does save the investor the frustration of having to pay a mutual fund manager. That is regardless of how well their fund has performed. However, it could still lead to a greater risk of losses. Hedge fund managers get compensation by the amount of the return they earn their clients. This could lead the manager into taking greater risk for the sake of gaining larger compensation. Another major disadvantage to hedge funds are the massive investment fees investors have to pay in order to invest in hedge funds. In addition to the management fee, typically between 1 and 4 percent of the net value of the fund, the investor also has to pay a performance fee. It is usually around 20 percent of the annual earnings of the fund. Now that you know more about what is a hedge fund, how it works and some of its advantages and disadvantages, you should have a better understanding of whether this type of investment is right for you. Remember, unless you or the organization you are investing for has access to substantial assets, investing in hedge funds might be off limits. However, if this is going to be your avenue of approach for investing, make sure you take the time to do some research before committing funds. As with all investment vehicles, the more information you have the better prepared you will be. We hope you enjoyed this article on what is a hedge fund. Please feel free to let us know about your experiences, questions, or comments regarding this topic.